Whilst we make every attempt to make sure that your adverts are accurate, ultimately all items offered for sale or wanted are as described by the seller and MUST include your name, phone number, email address & membership number. Therefore CDLRC Ltd accept no responsibility for any inaccuracies that there may be in the advert placed. The seller must inform the web administrator of any changes & or any items sold to keep this section up to date. CDLRC Ltd has the right to remove any adverts after 3 months unless the seller has re-applied. C & D members only. To display your advert please e-mail cdwebsite@hotmail.co.uk attaching any pictures required. Please allow seven working days before your advert will appear on the website. This entry was posted in Sales & Wanted on July 21, 2014 by Julia Cuming. This entry was posted in News, Sales & Wanted on January 8, 2019 by Julia Cuming. This entry was posted in Sales & Wanted on January 8, 2019 by Julia Cuming. This entry was posted in Sales & Wanted on November 9, 2018 by Julia Cuming. 1983 L/R 90 for sale. 3947cc efi serpentine belted V8 engine c/w R/R 4 speed gearbox (with O/Drive unit not currently fitted), PAS, full ALRC spec roll cage and up to date log book. 4 pin diffs c/w H/D crown wheel and pinions, and multi-spline shafts. 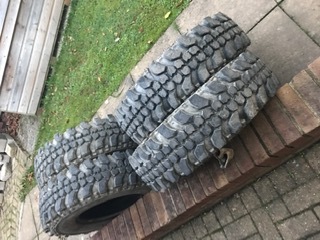 Set of 4x Insa-Turbo tyres and set of 4x 265/75 R16 Enduro Runway road tyres all in good order. 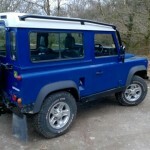 Bilstein B6 gas shocks, disc brakes recovery and jacking points all round. 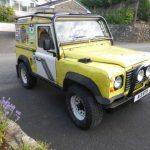 Strengthened cross member and belly pan, swing away spare wheel carrier, Exmoor Trim front seats and Momo steering wheel. MOT until end of March 2019. Ready to RTV or CCV. Owned by me for over 20 years and garaged for most of those years. This entry was posted in Sales & Wanted on July 8, 2018 by Julia Cuming. Built to ALRC spec in 2010. 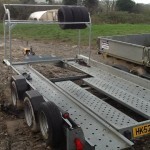 This trailer has a 3.9 over finch Range Rover engine with Range Rover auto box & running gear. 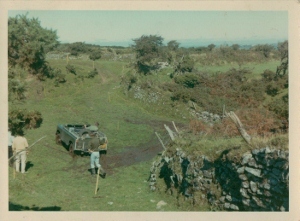 It was also used for time trials and comp safari with a few small modifications. This entry was posted in Sales & Wanted on April 5, 2018 by Julia Cuming. Most part to return to standard. Photos and more details please contact me. This entry was posted in Sales & Wanted on March 12, 2018 by Julia Cuming. Diff for series Land Rover. Urgently needed to rebuilt for project. Oil filler/level on the side. This entry was posted in Sales & Wanted on January 8, 2017 by Julia Cuming. 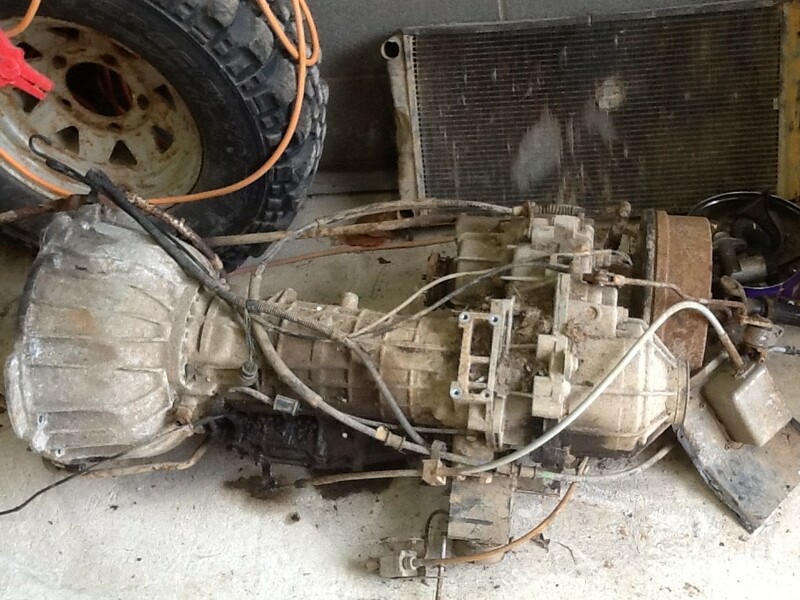 Comes with spare 3.9 engine including efi, spare 101 gearbox & spare 4.7 4pin diff. 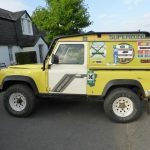 This is a very reliable Land Rover that has won many club CCVs and Time Trials. It is ready to go at either CCVs, Time trials or Comps. Only selling due to lack of use and I fancy moving on to something else. Price negotiable if all the spares are not required. This entry was posted in Sales & Wanted on July 19, 2016 by Julia Cuming. 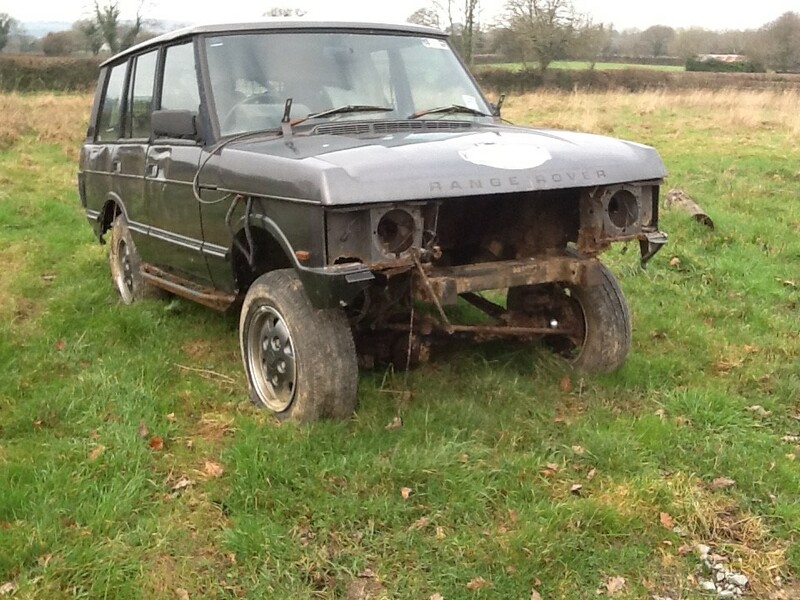 Lovely Land Rover for sale! 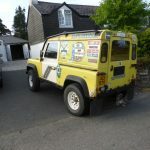 Registered in1988 ,148000 mls on the clock. This Land Rover has been professionally rebuilt on the original rust free chassis . Bodywork…Resprayed in Blue. New bulkhead fitted so rust free. Excellent push button type doors with recent new lock set, satin black chequre plate on wing tops. Side windows. New rear TD5 door. HD sill bars . 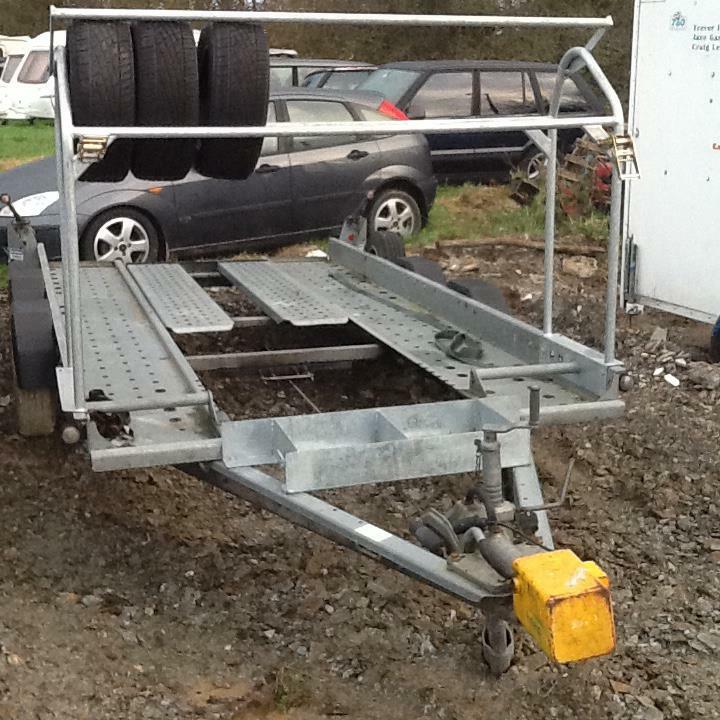 External front roll cage/roof bars. Swing away spare wheel carrier, Recent td5 type headlamps and upgraded bulbs. Boost alloy wheels with locking nuts fitted with only part worn BFG all terrain tyres. Suspension rebuilt with new shocks (de carbon gas)and springs all round. 300tdi engine, new turbo,cam belt and water pump October last year. R380 gearbox. New clutch and master cylinder last year. Full width Jeremy Fern intercooler and silicone hoses. Fuel pump adjusted to suit. k&n air filter, HDuty extra wide radiator(less than 18 months old) with kenlow electric fan. Interior very clean carpeted seat box, reapolstered seats with tecno trim. Cubby box. Nice stereo with Bluetooth phone connection. Momo steering wheel. Bulkhead removal bar so plenty of leg room. Full width genuine L/R rear load mat. Chequre plate rear door liner. Fan over ride switch with led warning light. Headlining fitted. Aftermarket temp gauge. 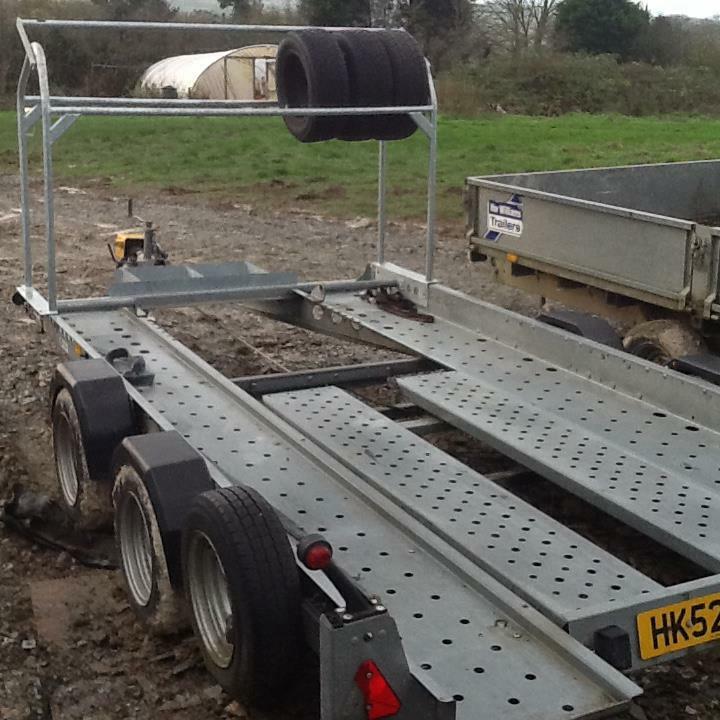 Perfect chassis no welding with the exception of a new rear cross member in September last year. Poly bushes fitted. Waxoyled. Stainless braided hoses. QT diff guards. Heavy duty steering bars. Steering damper. Td5 rear exhaust box . Discovery axles so disc brakes front and rear. Recent rear brake pads and propshaft uj,s and steering uj,s. 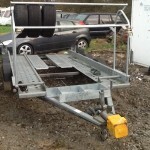 Contact Graham on 07525009155 £6250 ono. This entry was posted in Sales & Wanted on March 16, 2016 by Julia Cuming. 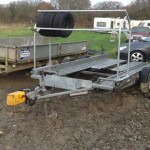 Trailer tyre rack and fuel rack for 4 Jerry cans for sale. This entry was posted in Sales & Wanted on December 26, 2015 by Julia Cuming.